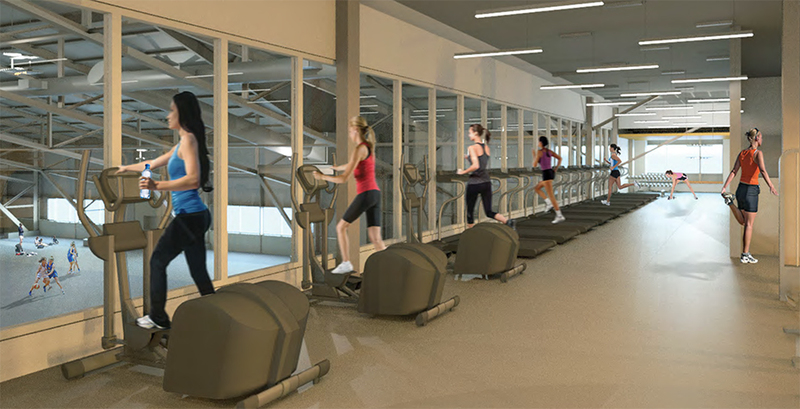 The Nannerl O. Keohane Sports Center houses Physical Education, Recreation, and Athletics—an academic department of the College—and comprises three main sections: Dorothy Towne Field House, the recreation building, and Chandler Pool. The 54,000 square-foot Field House was built the mid-1980s, and is ready for renovation. An expanded section of Wellesley's website shares plans and info on this and other campus renewal projects as they happen. While work is slated to begin on the Field House later this month, today and tomorrow members of the community are invited to "Express Your Opinion" about this next portion of the long-range campus renewal plans. Two opportunities are planned for the campus community to “exercise” their opinions with members of the Field House design team; Turner Construction Company; and Chris Sgarzi, AIA principal from Sasaki Associates. One is for community time on Wednesday, March 12, from 12:30 to 1:30 p.m. and the other on Thursday, March 13, from 7 to 8 p.m. Athletic Director Bridget Belgiovine encourages community members to gather in the Field House of the Keohane Sports Center to learn more about the project, view a series of renderings, ask questions, and provide input for select project decisions pertaining to types of cardio equipment, floor coloring, and logo/banner placements. Meantime, Wellesley introduces a new blog called The Dirt, which will give the inside scoop and update readers on the day-to-day happenings of Wellesley’s campus renewal projects. Blog authors will include people from the College’s campus facilities and communications offices, with guest posts as appropriate.